Opening a PrestaShop e-commerce website in China can be one of the smartest moves for online entrepreneurs. China’s e-commerce market is booming and keeps on scoring double-digit growth every passing year presenting, therefore, substantial business opportunities for international investors. 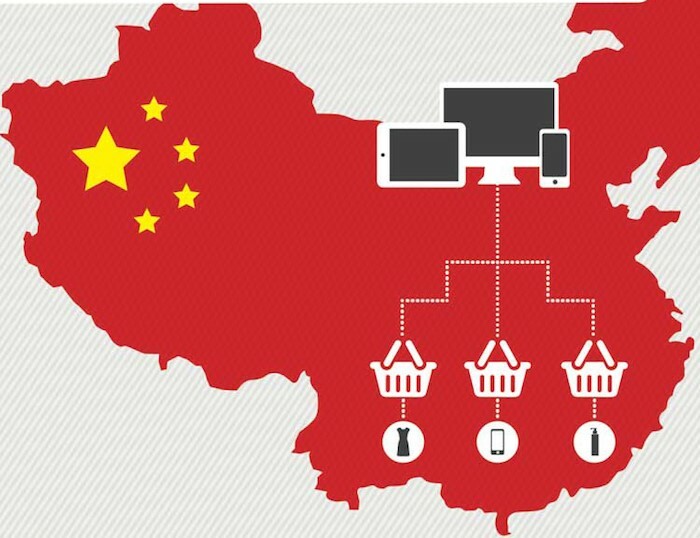 There is no doubt that Chinese consumers are not merely prone to shop online, they love it. Moreover, most consumers in China are thirsty for foreign products and have a substantial budget they are willing to spend on them. It is clear that there are many excellent reasons to consider opening a PrestaShop e-commerce in China and the chances of success are tremendously high. However, not everything is as easy as it looks and the Chinese market poses several challenges you must be aware of before planning your move into this market. Here are some things you must know and need to do to open a PrestaShop e-commerce in China. Proper planning and a targeted strategy are crucial elements for any successful business venture. If you are already running an e-commerce or planning to open a new one, you know all too well what a significant endeavor that is. Having a product or an idea is not enough. You need to research your market, identify your typical customer, develop your branding, have a business plan, and the list can go on. The same business approach is needed to enter the Chinese market, but there are some fundamental differences you cannot neglect. Simply said, a business model and marketing strategy that has been well tested for the western market could be a total failure in China. The factors that influence buying decisions and the dynamics that prompt an online sale in this market are unique. If you want your PrestaShop e-commerce site to be successful in China, you must have local knowledge. For instance, a Chinese customer must be educated about products to a far greater extent than the average western user. The way you market your products is different too. Stressing the quality of a product or a service, for instance, is not even as close to successful as emphasizing the impact that the product or service will have on the Chinese buyer's image. Then there are the technical issues that you must handle correctly. In particular, since Google is not in the picture in China, the way you promote your brand in this part of the world is different. Many of the social channels that are all the rage in the western world are banned in China and the way people use mobile devices in this country call for specific marketing approaches. Not to mention the language barrier. Don't even think about trying to break into the local market with your e-commerce unless all your content is well translated into Chinese. All of these are significant challenges that need to be tackled if you want your e-commerce to succeed in China. Acquiring all the needed skills to operate in the Chinese market and coming to grips with the local culture can be a mammoth task. It's recommended that you consider asking for support from an e-commerce agency in China or, even better, from a PrestaShop official provider for the Chinese market. This is the fastest and most effective way to set up a high-performing PrestaShop e-commerce specifically designed for China. The return you will have regarding time saved and added profits will not leave you regretting your decision. 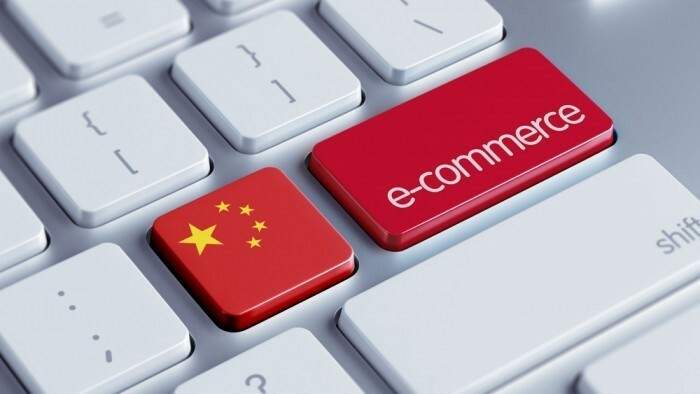 Besides the technical and cultural issues connected to managing an online store in China, there are legal requirements that you must comply with if you wish to avoid having your business shut down by the Chinese authorities. There are different ways to sell online in the Chinese market, but not all of them offer the same advantages. This solution allows you to sell in China while managing your e-commerce from outside the country. If you decide to go with this solution, you may start to sell through your existing e-commerce if you already have one. Alternatively, you can use other platforms like TD Global, or JD Worldwide which are similar to what Amazon is in the western world. PrestaShop fully supports cross-border e-commerce, and this solution may not require an ICP license to operate in China. We will discuss more about the ICP license later on, but it all depends on the nature of your business, type of products, and other variables that must be checked case by case to understand if you need it or not. Even though cross-border e-commerce can be a good solution to start selling in China, it does come with some downsides. For instance, you must handle all the legalities connected to customs clearance, import taxes and so on. Most importantly, this solution doesn’t allow you to host your e-commerce in China which, as we will explain later on, is a critical factor for online success in China. Deciding to set up a company in China is the most complicated solution but at the same time is the most recommended. It comes with several advantages that we are sure you will appreciate. Once you have a company registered in China, you can operate your PrestaShop e-commerce with full peace of mind. A Chinese entity will entitle you to host your e-commerce in China and give you the advantage of opening an official account on WeChat, the most popular Social network in China. Going through the various steps of opening a Chinese company can be a daunting task for foreigners. However, if you avail yourself of the support of a specialized web agency in China like QPSoftware, the official PrestaShop agent in China, they will take care of all the documents and speed up the process for you. ICP stands for Internet Content Provider, and it is a permit issued by the Ministry of Industry and Information Technology (MIIT) that allows you to operate a China-based website or e-commerce. Is it necessary to apply for the ICP license if you don’t have a China-based website? Unfortunately, there is no straightforward answer to this question. It all depends on the kind and scope of your business and how serious you are about developing your e-commerce in China. For instance, if you operate a cross-border PrestaShop e-commerce, you may decide not to apply for the ICP license, and it may not even be required. However, if the Chinese government determines that your site does require an ICP license and blocks your e-commerce, then there is no way to unblock it. You do not necessarily need to go through this complicated process on your own. The best e-commerce agencies in China, like QPSoftware, can handle all the files you need to apply for the ICP license on your behalf making the entire process smooth and painless. Web Hosting - In China or Outside China? Where to host your PrestaShop e-commerce is an important decision that can impact the success of your business venture. When you open a website or e-commerce in China, you have to come to terms with the Great Firewall of China, the instrument used by the government to censor all the Internet content that doesn’t comply with the rules they set. Due to this strict control by the government, websites that are hosted outside China may frequently experience lower speeds resulting in impaired performance and poor user experience. 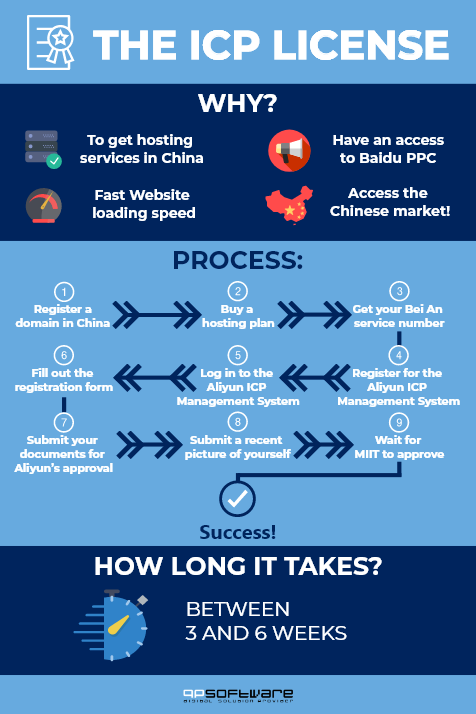 The connection speed is much higher when you operate your e-commerce through a legal entity in China that entitles you to local hosting. Therefore, if China is a primary target for your business, it is advisable to host your website in China. However, if you don’t want to go through the process of opening a Chinese company and obtaining the mandatory permits, you may decide to host your website in a neighboring country. QPSoftware can run your site or e-commerce on a server in Hong Kong, and the connection speed will still be significant. If you already have an e-commerce site, you may think that entering the Chinese market is as simple as translating your existing content into the local language. Rarely is this a good idea. Your e-commerce must be designed explicitly with local users in mind. For instance, most of your Chinese audience will want to be more educated about your products than what you are used to. Your products’ info must be more extensive and cover topics that are usually not necessary in the western world. The same goes for images, there may need to be more, and they may need to be of higher quality to better present your products and to appeal to a Chinese user. Even the backend of your Chinese e-commerce needs to be developed for the SEO rules from this part of the world. As Google is banned in China, you cannot leverage on your previous experiences with western search engines if you want to rank high in China. Therefore, you need to find a web agency in China that knows how to design and develop your web solution for maximum results. In this regard, PrestaShop has all the features you need to customize your shopping cart for the Chinese market, and you easily implement the SEO techniques that work in China. If you avail yourself of the support of our PrestaShop official provider in China, they will be able to lead you in the right direction giving your Chinese e-commerce the advantage you need. How to collect money from your customers is another sensitive topic you must include in your business plan. Do not expect to convert your Chinese customers to your favorite payment platform because they won’t. Chinese users trust the payment methods they know and use daily and are not prone to adapt to anything else. Therefore your e-commerce must implement the most used digital payment platforms in China such as Alipay, Wechat Pay, and UnionPay. Once users see these payment methods, they will not think twice before completing the order whereas they will be suspicious of other unknown platforms. PrestaShop fully supports all these payment methods so you can implement them efficiently. Once you collect CNY from your Chinese customers, the sum can be converted into your local currency and transferred to your bank account overseas. If you are managing a Chinese e-commerce from outside the country and do not have a registered company in China, another option is to use a cross-border payment platform like Adyen which is also supported by PrestaShop. Should your PrestaShop E-commerce in China Go Mobile? There are some figures about mobile device usage in China that can help you to decide if you should have a mobile version of your e-commerce in China. On January 2017, the China Internet Network Information Center (CNNIC) released the annual Statistical Report on Internet Development in China which revealed that 95% of Internet users in China are using mobile devices to surf the Internet. Moreover, mobile phone user penetration in China is expected to reach 80% in 2018. These figures are more than enough to give a straightforward answer to the question of whether or not you should invest in a mobile version of your Chinese e-commerce, which is, absolutely yes. Again, in this case, the best solution is to partner with an e-commerce agency in China that will create an m-commerce solution that follows the most updated designs and trends in the Chinese market. 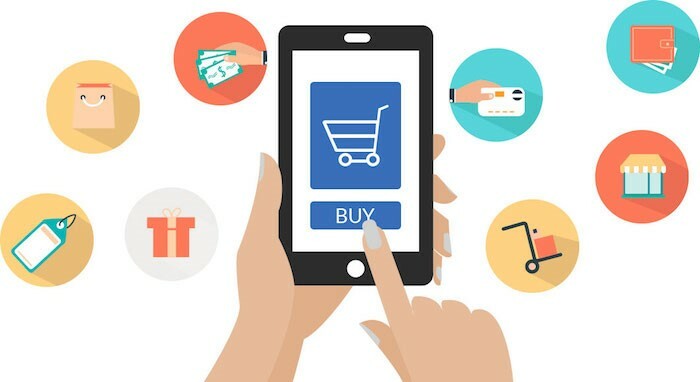 They will advise you on what to implement in your mobile commerce to create a UX that appeals to local users and to attract more visitors to your shop. PrestaShop can be easily customized to meet the demands of mobile users in China and is the perfect solution to offer your visitors a user-friendly shopping cart that perfectly integrates into the mobile version of your shop. WeChat is the most widely used Social Network in China. With more than 900 millions active users, WeChat is an invaluable tool for reaching people and promoting your branding. There is more than pure numbers that make this Social Media appealing to your business. WeChat is different from any Social Media you may know. As the Chinese love to say, WeChat is a way of life. You will be surprised to know how many ways people interact with this platform. Instant messaging is just a marginal feature of WeChat. People use this platform to send money, book appointments, buy tickets, and a lot more including, of course, buying online. In fact, WeChat has launched WeChat Store, a web solution that can greatly help to increase your online sales. WeChat Store is a practical solution to connect your e-commerce to a mobile device. It allows you to create an online shop that runs on the Social Media platform. This way, a user can go through your products directly from WeChat, and thanks to the integration with payment platforms he can easily finalize his purchase from it. Since its launch, WeChat store has helped many foreign businesses to boost their sales in China. However, you can only open a WeChat Store if you have a company registered in China and a business license that allows you to open a WeChat Official Account. If you don't currently meet these requirements, QPSoftware can use its business license to open a WeChat Official Account for you, thus allowing you to be able to open a WeChat Store. Once your Chinese company is established, then QPSoftware will transfer the ownership of the WeChat Official Account to you. Hopefully, you now have a better idea of how to open a PrestaShop e-commerce in China. China is one of the fastest growing markets in the world, and its Internet figures continue to grow. Sure, it is a challenging market for foreigners to get into but once you have established an e-commerce website customized for Chinese users, the ROI you can experience will be well worth the effort. A PrestaShop e-commerce website in China opens the way to such great business opportunities that you cannot ignore them. Thanks to PrestaShop solutions and our official agent in China, entering the Chinese market is now easier than ever. So get started today and do not miss the chance to expand your business in China.